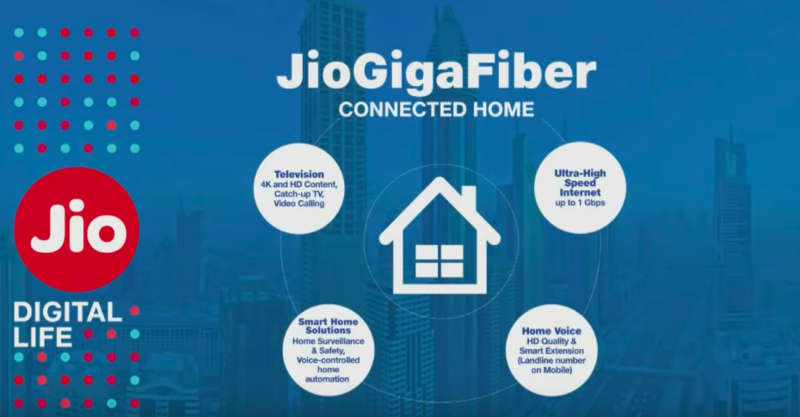 Since from the time when Jio was launched, there has been a massive rumour widespread among the people regarding JioGigaFiber broadband connectivity. 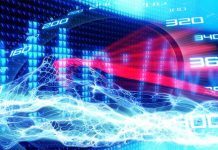 Due to the rolling out of broadband connection, the entire industry was eager to see a certain new thing which the company likes to provide. 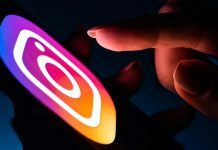 However, the company has previously developed a boom with the help of its preview offer and mention that certain things will be quite hard for their competitors. The company started to register for the interested customer from the beginning of 15th August onwards. It is expected that the service will get rolled out in upcoming months. However, Mukesh Ambani has declared about the broadband connectivity during the 42nd Annual General Meeting. The broadband service seems to compete with several companies including Hathway, Spectra, MTNL, BSNL, Airtel and many others. The company seems to reveal certain things regarding JioGigaFiber in pieces and bits however you need not worry about it. In this article, we have collected vast things which you need to understand about JioGigaFiber. Have a glance at it!! The Registration of JioGigaFiber was started on 15th August. The main objective of the registration process is not to turn you as their customer rather it facilitates you to know about the service when it is rolled out. If you have an interest in buying the service then it is well and good but registration is not quite essential. Jio will be offering the facility to the places with utmost registrations. For registration, you can visit either Jio.com or MyJio App and it is free of cost. 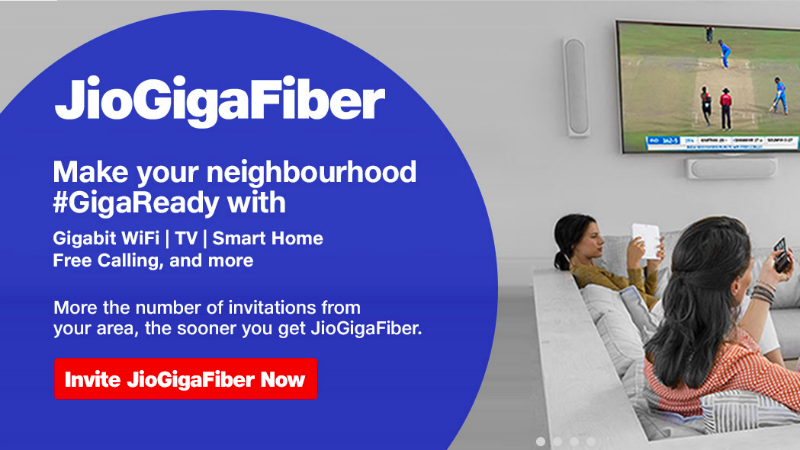 The JioGigaFiber not only offer broadband connection, however, it also offers smart home accessories including video dongle and audio, Wi-Fi extender, smart speaker, outdoor security camera, smart plug as well as TV camera. JioGigaFiber is presently being tested in several cities. The service provider has clearly explained that the service is prepaid at present but there are plans regarding the launch of post-paid plans in due time. It is another beneficial service for television. Jio GigaTV set-top box arrives with voice-controlled means. Moreover, if the customer prefers TV camera then they can able to create video calls with help of television as well. Currently, the preview offered for JioGigaFiber was revealed so the users will avail 100 GB data at speed of 100 Mbps for 3 months in free of cost. If the users use 100 GB data capability then they can able to recharge by utilizing top-ups found on official website of Jio or Jio app. To get this offer, you need to deposit Rs. 4500 for the sake of JioGigaFiber installation. The company does not unveil anything however announced preview offer alone. 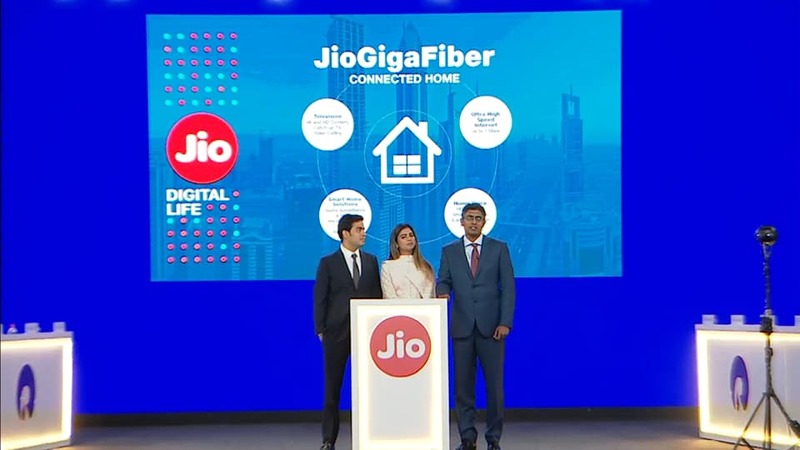 However, it is predicted that the broadband plans will come in three sections such as Jio GigaFiber Special broadband plans, Jio GigaFiber Speed-based plans, and Jio GigaFiber volume based plans. The company is predicted to implement plans at a reduced price because their main aim is to offer cheap broadband services. The plans are accessible at Rs. 500, 800 as well as 1000. The speed based plan cost between Rs. 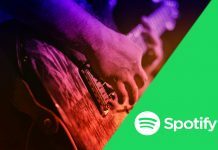 500 to 5500.